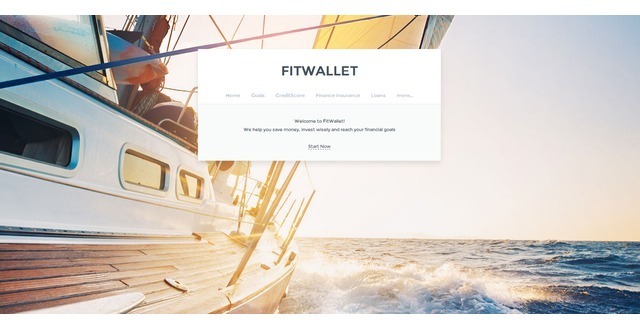 FitWallet is a next generation credit union that connects employees with the diversified financial resources they need to reach their goals. In doing so, we help companies reduce unnecessary churn & help financial vendors cost effectively acquire new customers. We've already launched our alpha and have traction that validates our model. Many companies offer their employees’ health insurance. Some offer a retirement plan like a 401k. That leaves a massive gap in terms of financial education, helping employees with debt, helping employees with investments, helping employees with their taxes, etc. 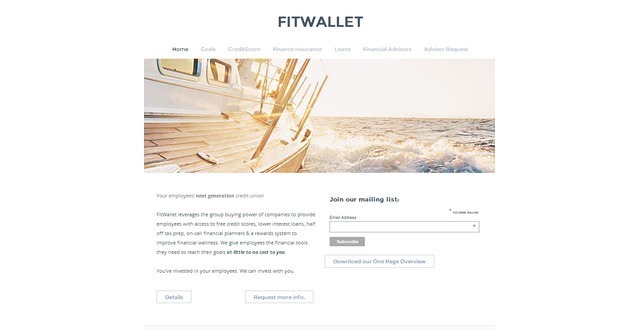 FitWallet solves that through a platform that leverages group buying power to connect employees with the diversified financial services providers that meet their individual needs. At the employer level, FitWallet gives employers a leading indicator on potential employee churn due to employee financial pressures. For financial service providers, FitWallet gives them an easy to use dashboard that significantly increases their customer data and significantly reduces their customer acquisition costs. We've already launched an alpha version of our platform and have traction that validates both the sales process and employee engagement. We are currently considering potential leads or members of our Series A.
FitWallet leverages the group buying power of companies to provide employees with access to free credit scores, lower interest loans, half off tax prep, on-call financial planners & a rewards system to improve financial wellness. We give employees the financial tools they need to reach their goals at little to no cost. I'm an expert at building and scaling sales & marketing teams in an entrepreneurial environment. I've advised entrepreneurs, built new products and designed corporate strategy. I have a BS in Computer Engineering from Penn State & MBA from Harvard.